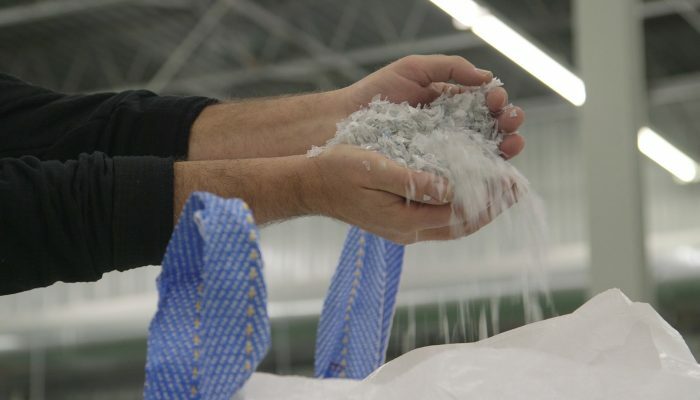 Flint Fit is a prototype for action, where Flint’s empty water bottles are transformed into thread, thread becomes fabric, fabric becomes fashion, and fashion gets fabricated right back in Flint. The project, conceived by artist Mel Chin, envisions a creative use of excess material, opportunity, and artistic innovation between Flint, MI; Greensboro, NC, and New York City. Flint Fit from Queens Museum on Vimeo. Flint Fit is an artist’s idea to transform empty plastic bottles from residents of Flint, Michigan into a hopeful possibility. 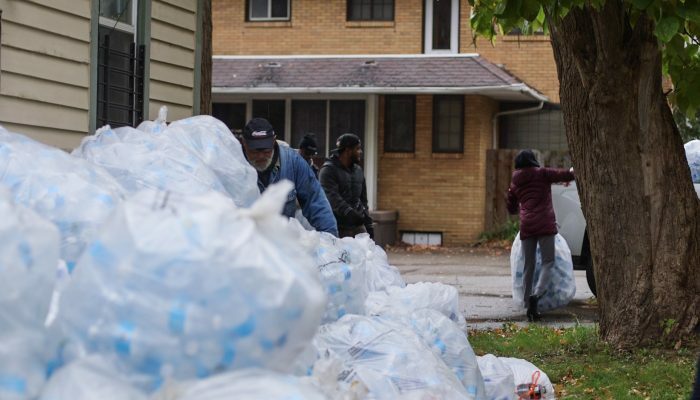 As the water crisis extends into its fourth year, and citizens of Flint must still use bottled water for drinking, cooking, and washing, this process aims to show that empty bottles can become vessels of hope rather than reminders of an unjust crisis. 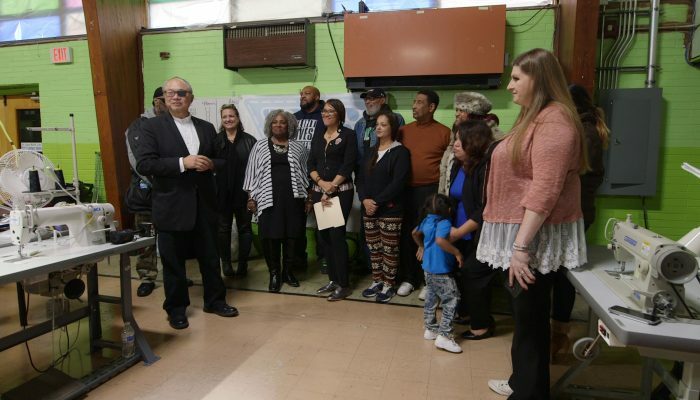 By testing the market and opening the door for new ideas, Flint Fit aims to stimulate creative production, economic opportunity, and empowerment on a local scale by connecting resources across the country. 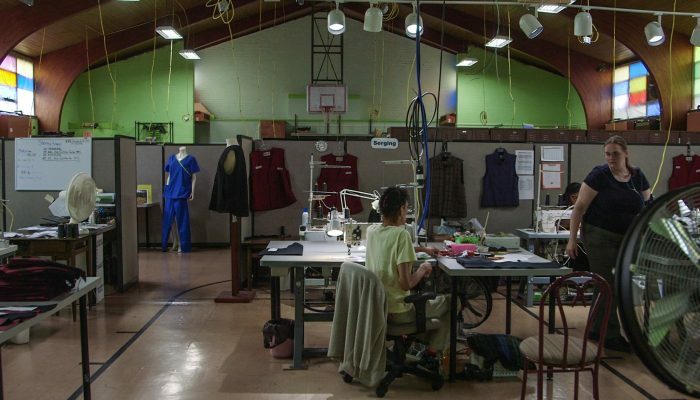 Renowned New York fashion designer and Michigan native, Tracy Reese, has designed the pilot capsule collection for Flint Fit inspired by the power and necessity of water, the manufacturing history of Flint, and the resiliency of the Flint community. 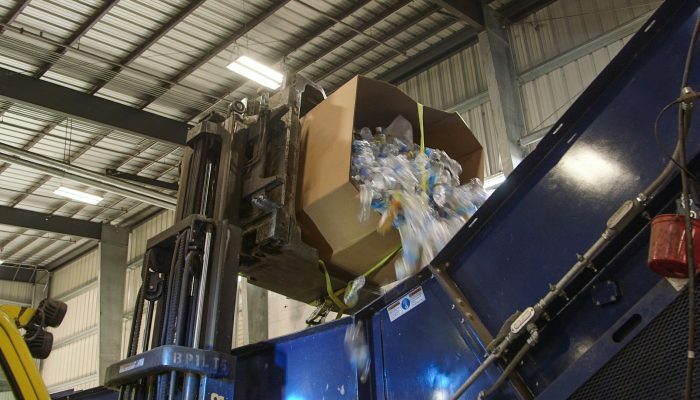 Bottles were transported to Greensboro, North Carolina where they were transformed into REPREVE yarn by Unifi, Inc.
Chin’s prototype provides a glimmer of what might be a future for Flint, a triangulation as complex as it is unlikely, and one that could just work, not only there, but also in other quarters just as surely in need of hope. Particularly in times as uncertain as our own, when the public discourse tends to divide us into enemy camps, Chin’s impulse is to bring together diverse groups of people living in vastly different circumstances and devise projects that build unexpected relationships and potential out of crisis. 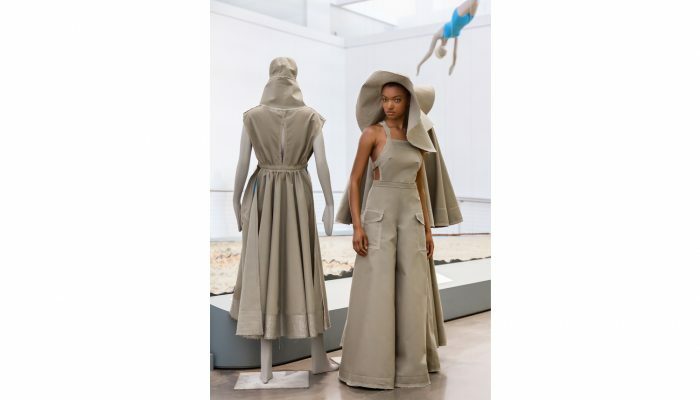 The first Flint Fit collection will be unveiled at a fashion event at the Queens Museum on April 8, 2018, followed by an upcoming event in Flint. Flint Fit is a new commission presented as part of the exhibition Mel Chin: All Over the Place, organized by Queens Museum and No Longer Empty and is curated by Manon Slome and Laura Raicovich. The multi-location exhibition spans nearly four decades of Chin’s malleable and wide-ranging approach to artistic practice. Mel Chin: All Over the Place is made possible in part by lead support from the Henry Luce Foundation and Ford Foundation. Major support is provided by Agnes Gund, The Shelley and Donald Rubin Foundation, Ellen and Bill Taubman, The Brown Foundation, Inc., of Houston, Annette Blum, Beth Rudin DeWoody, Molly Gochman, Joanne Leonhardt Cassullo and the Dorothea Leonhardt Fund at the Communities Foundation of Texas, Inc., Matthew Cushing, and the Graham Foundation for Advanced Studies in the Fine Arts. Additional support is provided by Fairfax Dorn and Marc Glimcher, and Ursula von Rydingsgard. We gratefully acknowledge the participation of those who made Flint Fit possible: Tracy Reese, Unifi/REPREVE, Mount Vernon Mills, Texollini, St. Luke N.E.W. Life Center in Flint, Michigan, and Matrix Expedited. Thank you to SHADES OF GREY, Edward Kim for The Edit Desk, and Alyssa Jones for their invaluable creativity in realizing the Flint Fit fashion event in New York and to Teva for their generous contribution.